This section provides complete details about Bokeh’s required and optional dependencies as well as information about how to install Bokeh in different situations. To get up and running as fast as possible, see the Installation section of the Quickstart. Bokeh is officially supported (and continuously tested) on CPython versions 2.7 and 3.5+ only. Other Python versions or implementations may function, possibly limited capacity, but no guarantees or support is provided. To use the Bokeh server with Python 2.7, you also must install the Futures package. Necessary for Extending Bokeh or for defining CustomJS implementations in CoffeeScript or TypeScript. Necessary for the hexbin function. Additionally, some usage is simplified by using Pandas e.g. 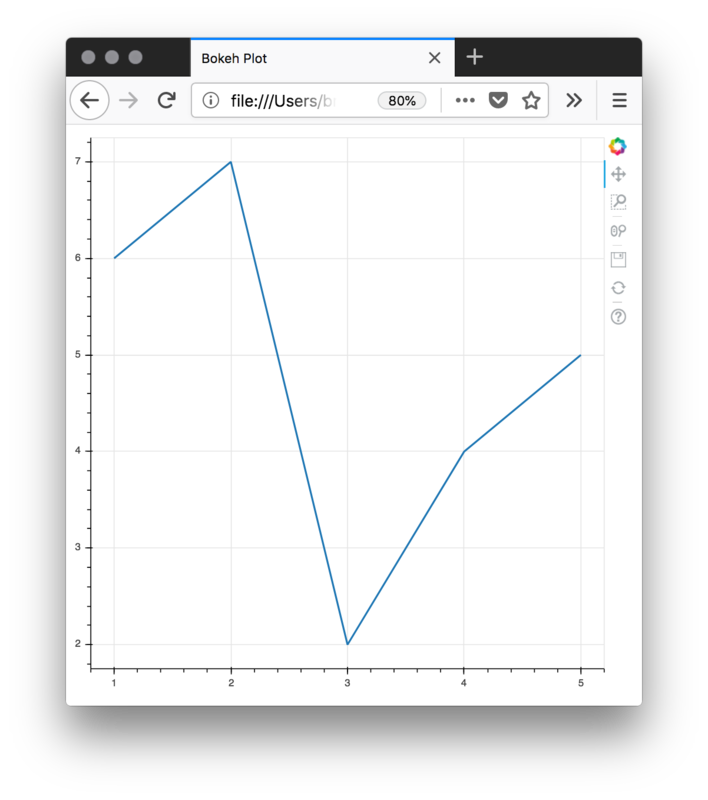 Pandas DataFrames will be converted automatically to Bokeh data sources by glyph functions. Necessary to enable detailed memory logging in the Bokeh server. Necessary to use the from_networkx function to generate Bokeh graph renderers directly from NetworkX data. Necessary for Exporting Plots to PNG and SVG images. Necessary to make use of the bokeh.sphinxext Sphinx extension for including Bokeh plots in Sphinx documentation. These Bokeh dependencies are best obtained via the Anaconda Python Distribution, which was designed to include robust versions of popular libraries for the Python scientific and data analysis stacks. This will install the most recent published Bokeh release from the Anaconda, Inc. package repository, along with all dependencies. will cause the sample data to be stored in /tmp/bokeh_data. In addition to the standard installation methods above, Bokeh can also be installed in some specialized ways for advanced usage or development. Installing Bokeh from source requires rebuilding the BokehJS library from its TypeScript sources. Some additional toolchain support is required. Please consult the Getting Set Up section of the Developer Guide for detailed instructions. An easier way to obtain the most recent Bokeh updates without having to worry about building Bokeh yourself is to install a developer build. Developer builds are not published on any particular schedule but often come out a few times a month or more. We attempt to make sure the developer builds are relatively stable, however please be aware they they are not tested as rigorously as standard releases. Any problems or issues reported on the GitHub issue tracker are appreciated. BokehJS resources for developer builds are not guaranteed to be permanently available. You should never use any artifacts made by a developer build “in production”. The "-widgets" files are only necessary if you are using any of the widgets built into Bokeh in bokeh.models.widgets in your documents. Similarly, the "-tables" files are only necessary if you are using Bokeh data tables in your document. The "bokeh-api" files are required to use the BokehJS API, and must be loaded after the core BokehJS library.